Welcome and thank you for dropping by! 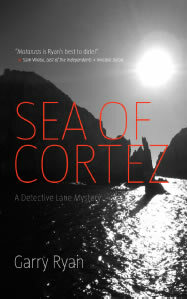 I am thrilled to announce that the 10th book in the Detective Lane series of mysteries, Sea of Cortez is now available! In this adventure Detective Lane and his husband Arthur find themselves working undercover, seeking out links in the Mexico-Canada drug connection. "Garry is one of the finest novelists in any genre." "Ryan balances suspense with humour, creating books that are, quite simply, a great read." "Ryan writes in a no-nonsense prose that reads like a police procedural destined for the screen." 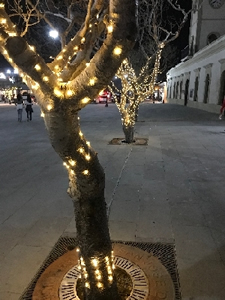 Ryan's prose is clear without being flashy, his antagonist is suitably villainous without descending into melodrama, the police themselves show a laudable diligence and the supporting characters are allowed their own flashes of competence and plunk." "Ryan's books are proof that mysteries can be as satisfying in a literary sense as traditional novels." - Drewey Wayne Gunn, professor emeritus of Texas A&M University-Kingsville.